It’s become evident that My Little Pony: Friendship is Magic is not the only animated TV series that has taken some interesting twists and turns thanks to on-line fan input. Fans of Adventure Time with Finn and Jake became obsessed with the idea of a gender-swapped variation on the popular series after the idea popped up on the Internet. And thus Fionna and Cake, human and cat, were born. Well now Boom! Studio’s Kaboom! 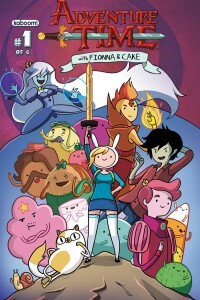 line have added to their Adventure Time line with the premier of the new Fionna & Cake 6-issue mini-series (in full color). Here’s a write-up from Jim Hill Media: “The highly anticipated series will be written and illustrated by none other than the characters’ creator and Adventure Time storyboard artist Natasha Allegri with a full 32-page first issue. 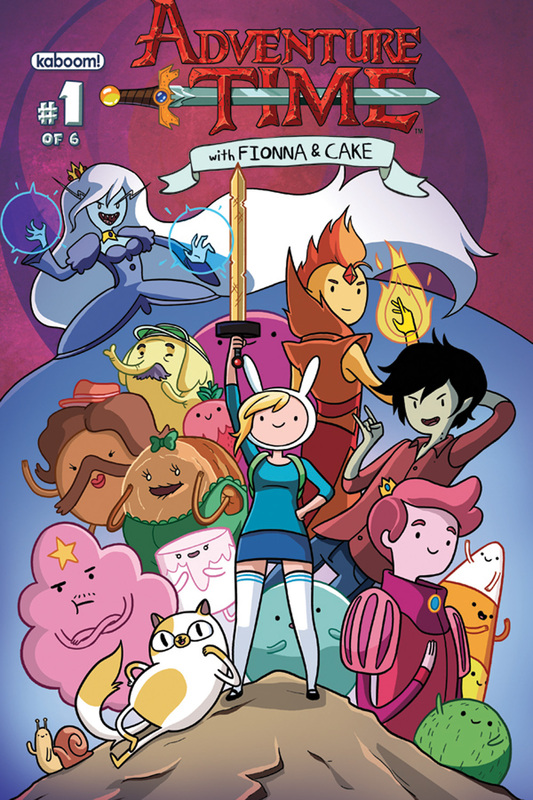 Join Cake the Cat and Fionna the Human in this totally algebraic new adventure! When Fionna rescues a feral flame boy from a pack of wild fire lions, it starts her on a quest she’ll never forget…” It all starts this coming January.